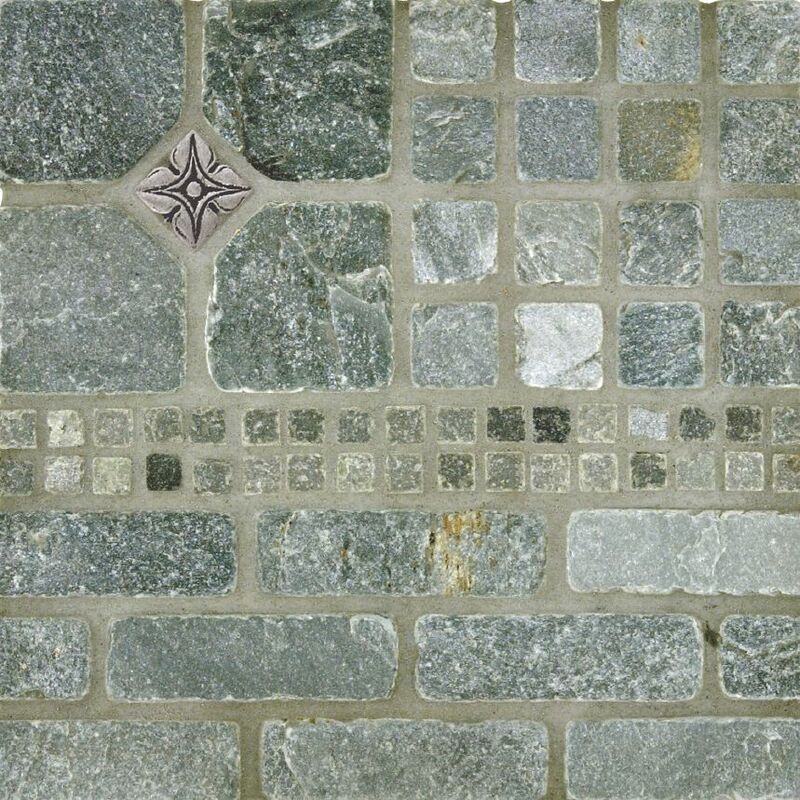 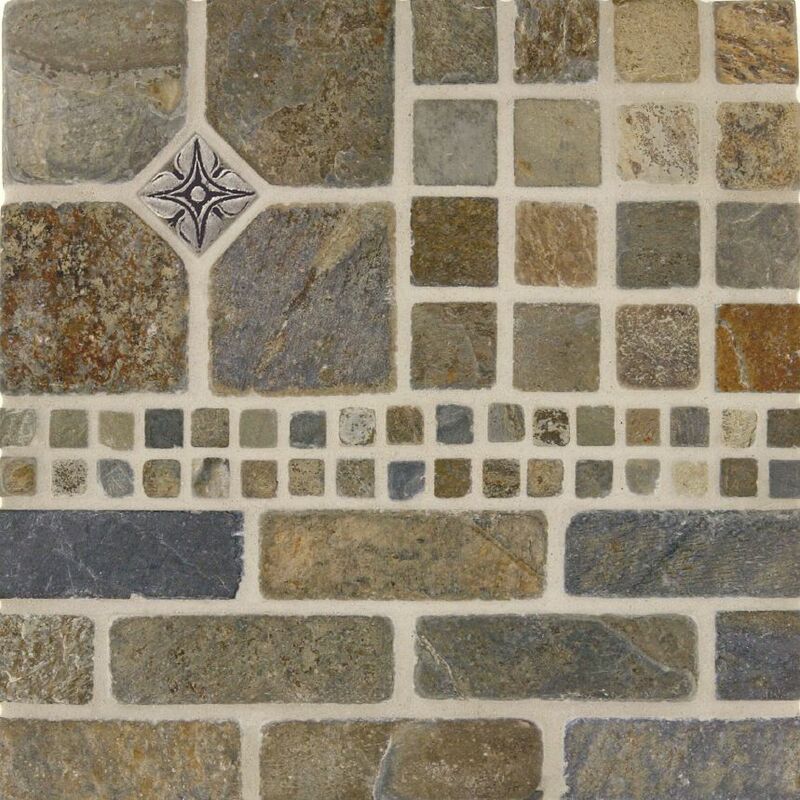 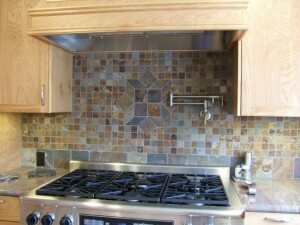 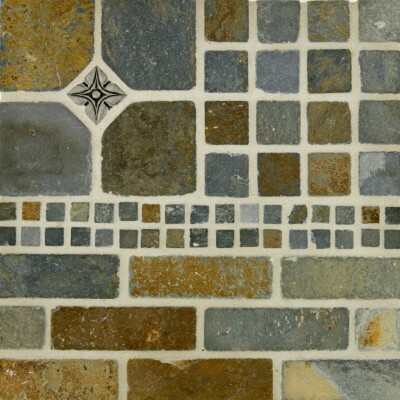 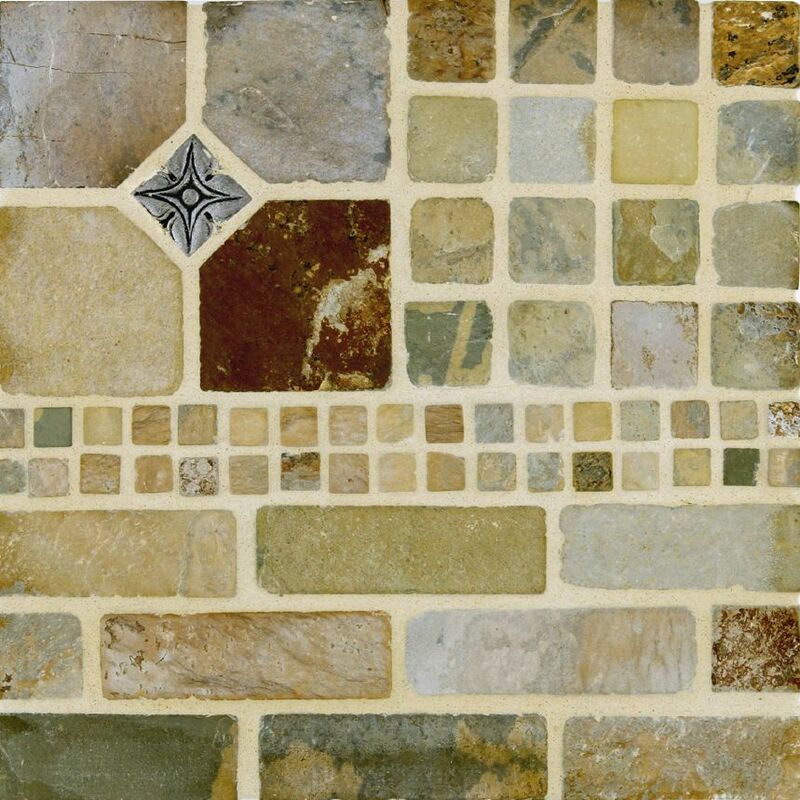 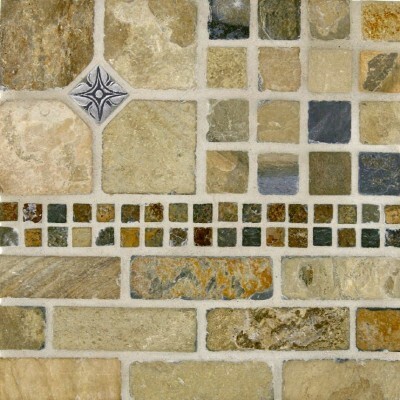 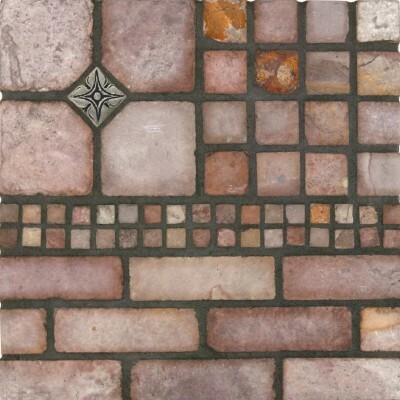 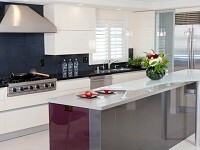 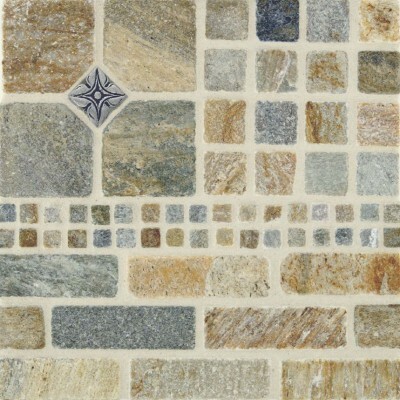 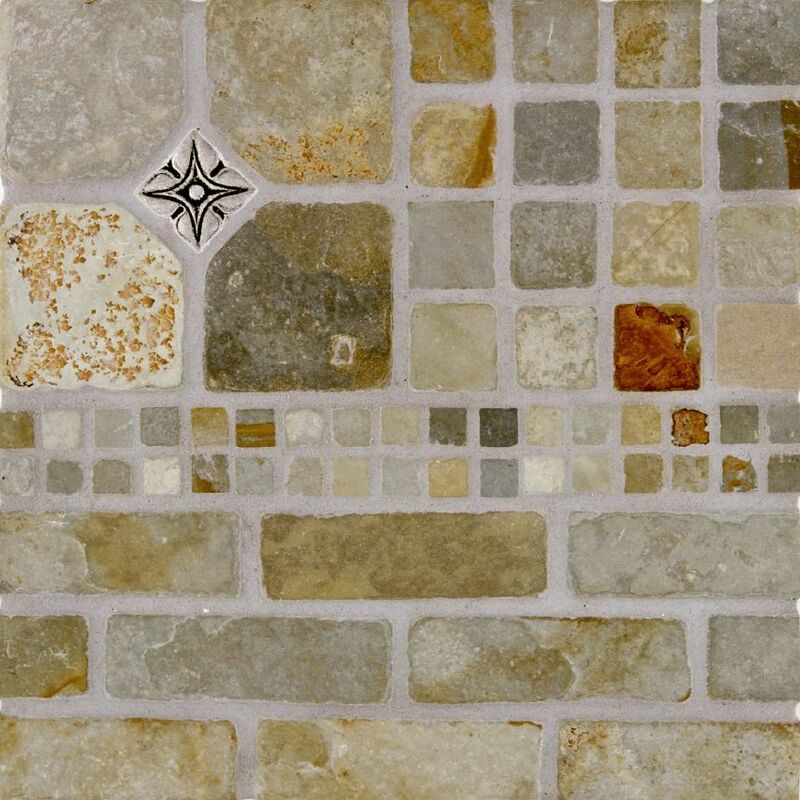 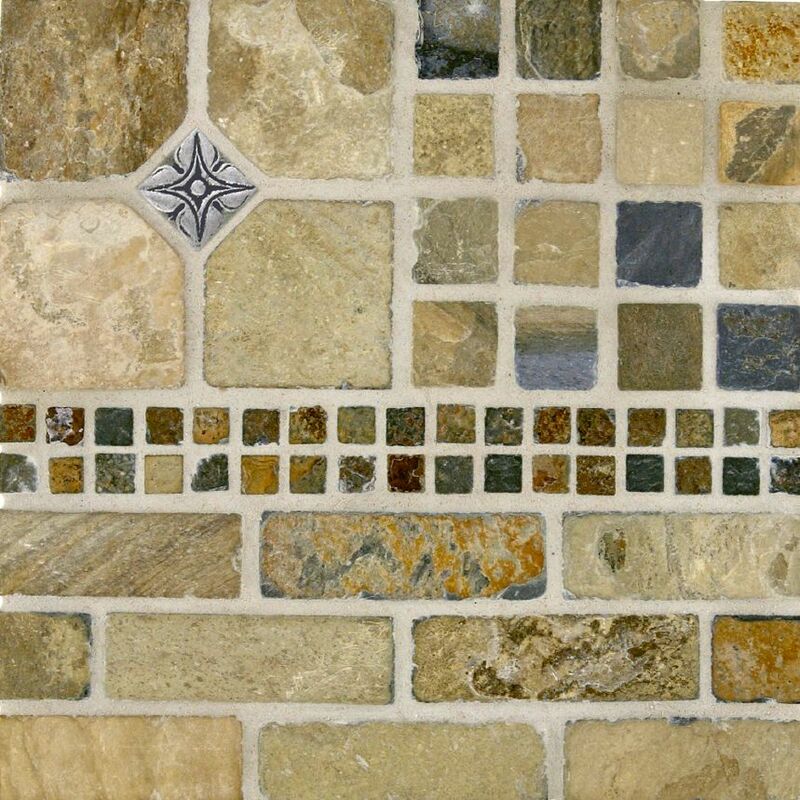 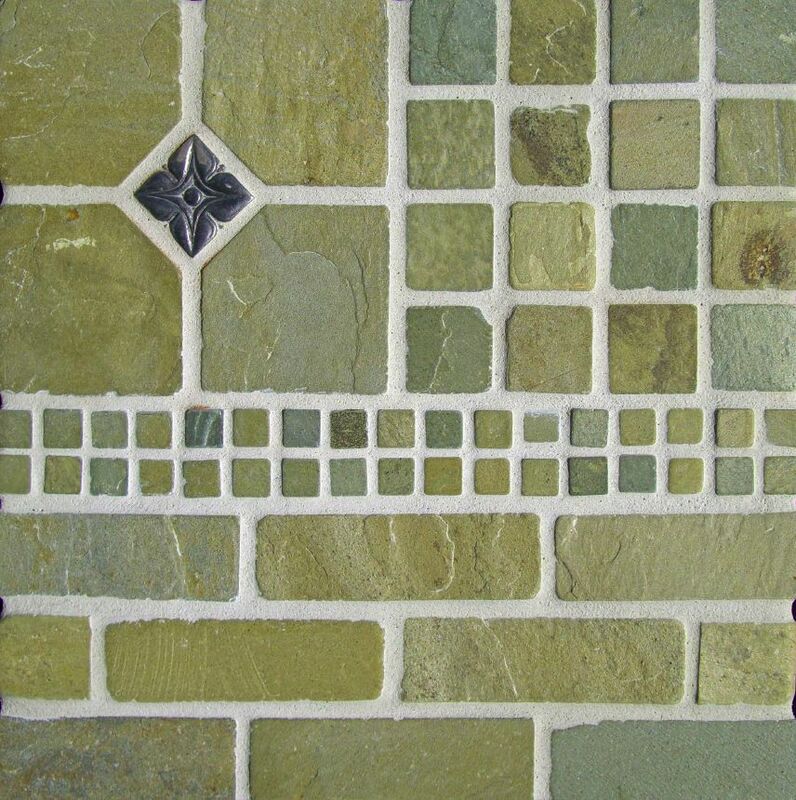 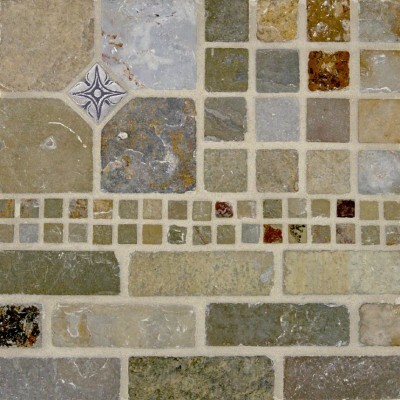 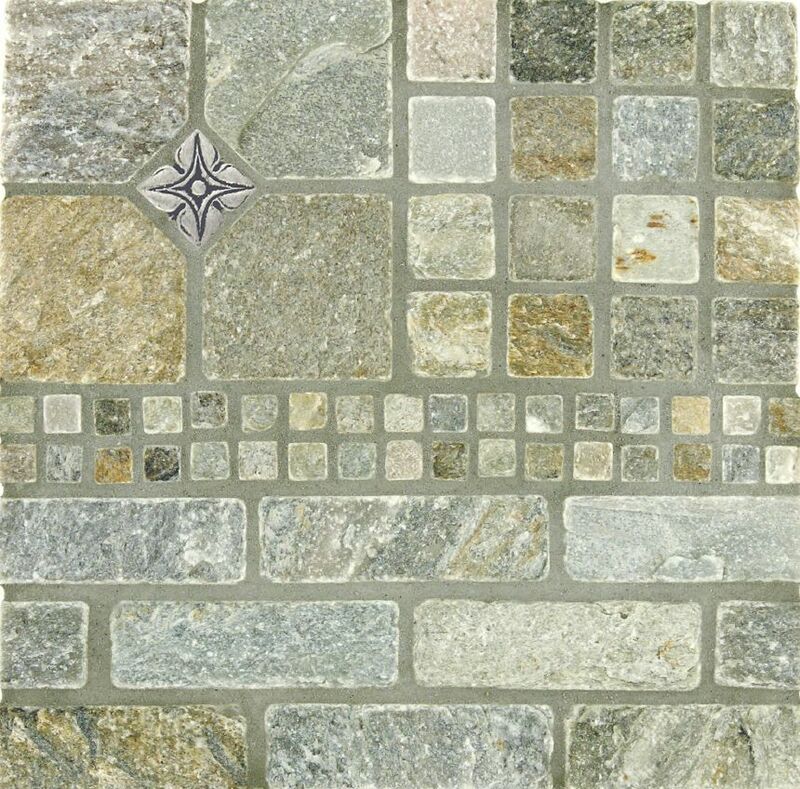 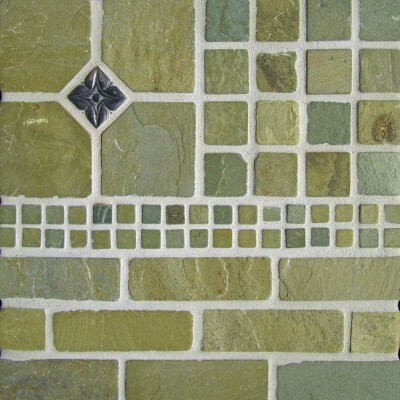 Tumbled slate tile is very popular for kitchen backsplash, shower accents, and even showers. 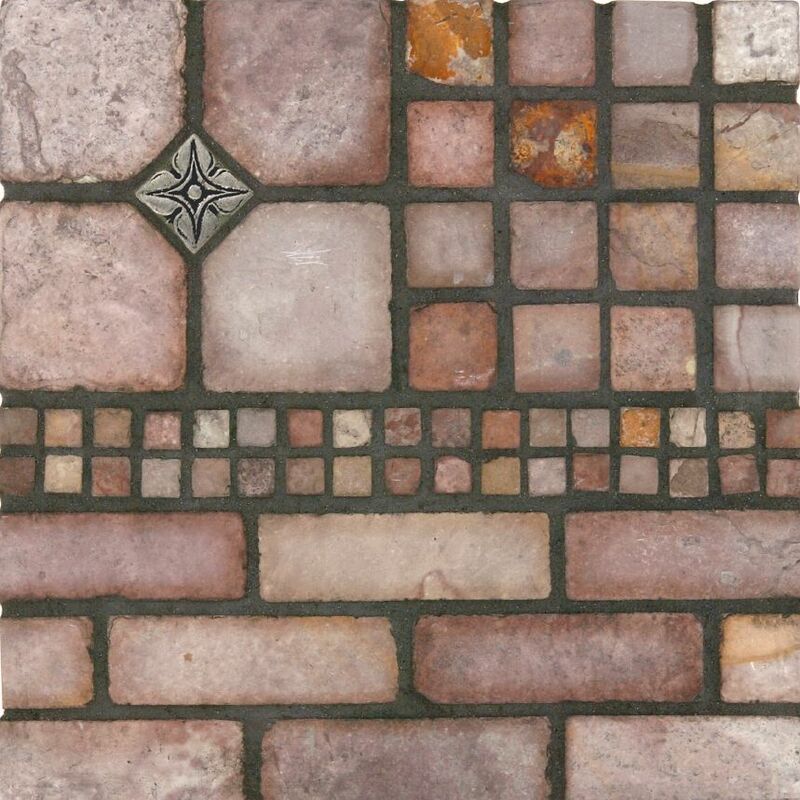 slate tile is its mixture of colors with swirling arrays of blacks, blues, coppers, dark greys and many more which make it the ideal stone for a natural looking floor for your home or even exterior. 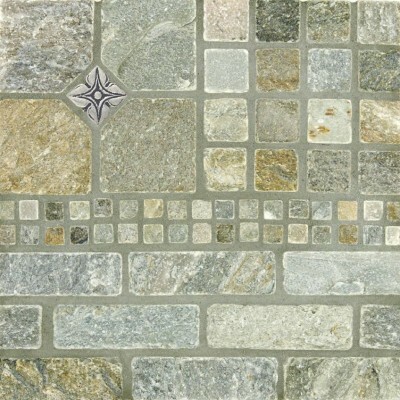 Tumbled Slate Tile has gone through the “tumbling” process which gives the corners and edges of the material a worn and antique finish. 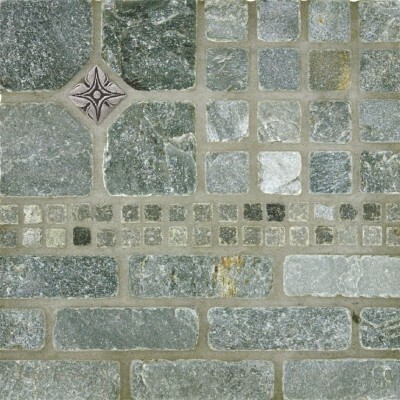 Tumbled slate tile is very popular for kitchen backsplash, shower accents, and even showers. Not all tumbled slate tile is suitable for showers due to the high oxidation that is found in certain slates such as ; Black & Gold, Earth, Iron Mould, and White Gold. 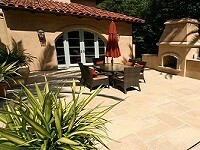 The high oxidation will cause running or bleeding of the color due to rust.